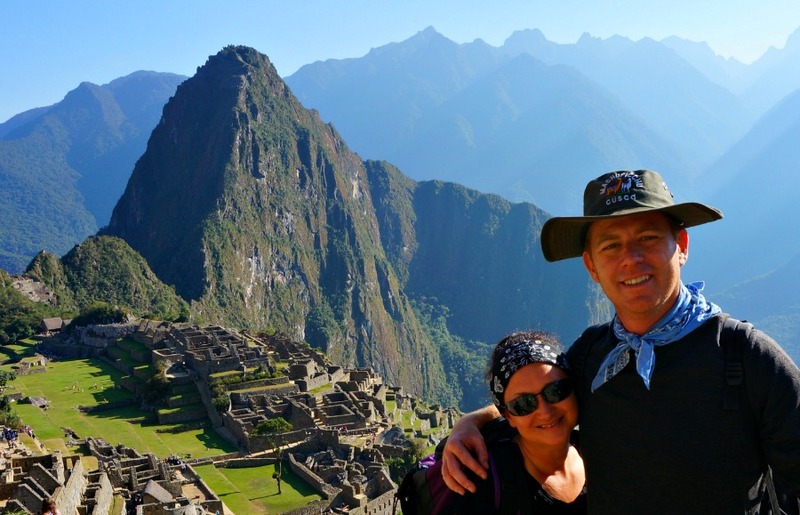 Completing the four-day hike to Machu Picchu was like everything, and like nothing, that I thought it would be. I read about the journey, attended the orientation, and talked to a number of people before setting off for the trek. During that process I received a lot of conflicting information. None of this detracted from the experience, but knowing the facts may have helped me prepare a little better. Or maybe it is such a subjective experience that everyone’s perspective is a little different. Here are a few “Fact or Fiction” examples to give you an idea of what I mean. Fact or Fiction #1: Day 1 is pretty easy, but Day 2 is so difficult that a few people who decide to give up and turn around. There are a number of factors at play here. Each company that provides guides has a little different strategy for hiking the trail. The company we went with pushed us pretty hard both on day #1 (which involved both up and down hill hiking) and day #2 (which involved a full 11 hours of hiking, four of those hours being straight up hill). For me both days were pretty challenging. Your experience is going to depend on your fitness level, how long you stayed at a higher elevation level prior to the hike in order to acclimate, and how your body adjusts to the altitude. Some of that you won’t know until you are actually there. Despite it being a challenging hike most people who take it on are able to complete it. Fact or Fiction #2: Hiking boots and poles are necessary pieces of equipment. Celebrating getting over “Dead Woman’s Pass” after 4 hours of hiking up hill. This again is a personal thing. I was quite surprised that much of the trail is composed of stone steps. The more difficult thing for me was actually hiking down hill – and there is quite a bit of this. 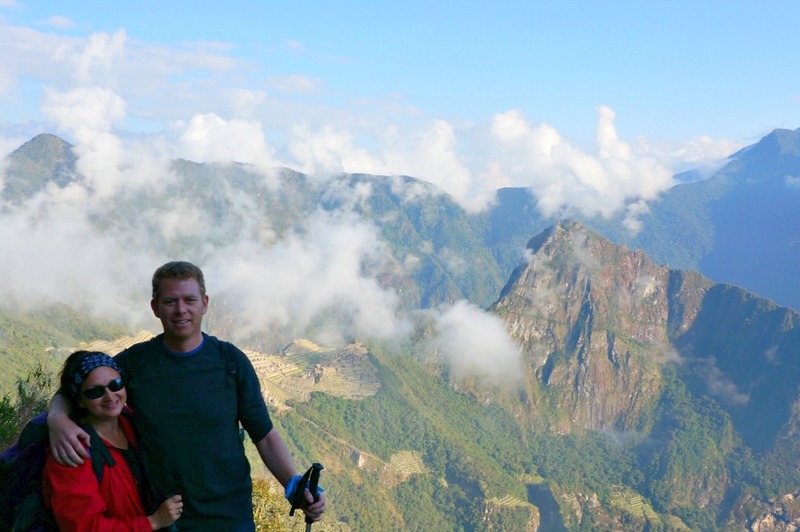 On the four-day hike you climb well above the elevation of Machu Picchu and have to hike DOWN to it. Poles for me were pretty important, but I also hiked the whole thing in sneakers and they were just fine for me. Again, it depends on how much ankle support you personally need. (Note: you can buy a pair of hiking poles in Cusco for about the same price that it would be to rent them from the tour providers, and then re-sell them). Fact or Fiction #3: The toilets along the trail are disgusting. The answer to this one is both true, and false. One of the things that surprised me the most about the trail was that especially during the first day, we ran into quite a few locals who live in the area. There were houses along the way, some of which provided some of the nicest toilet facilities to hikers. 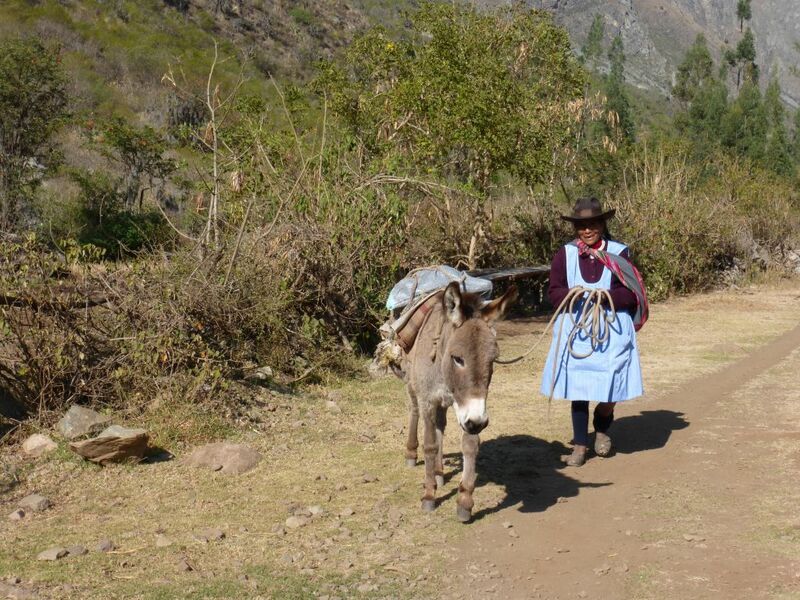 On the negative side, the donkeys they used to haul things up and down that section of the trail also deposited their own leavings along the way which made some sections a little unpleasant. Not what I expected. Or that there would be vendors selling things like Pringles potato chips along the way. Huh? The company we hiked with had a portable toilet that they brought along for the trip. We only had to share with our small group, but still, it was a pretty unpleasant in there some of the time. Word to the wise – hand sanitizer and disposable wipes are your friend on the trail! 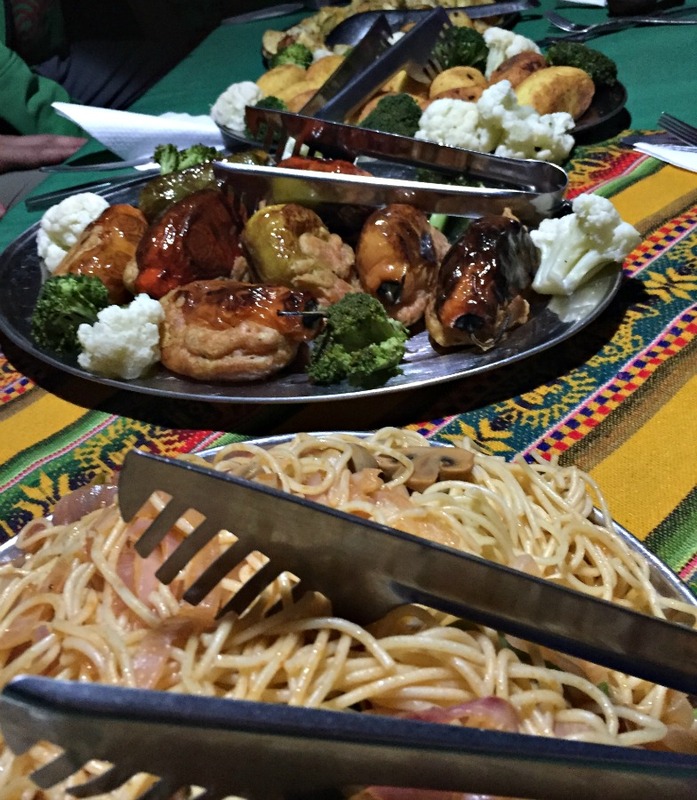 Fact or Fiction #4: You will eat like a king during the hike. This is likely a factor in which tour company you use. We hiked with a company that was very well rated and we paid a little more to hike with them. The food was beyond what I would have expected. We had at least a four course meal for both lunch and dinner along with a big breakfast, snacks along the way and social hour with food before dinner. 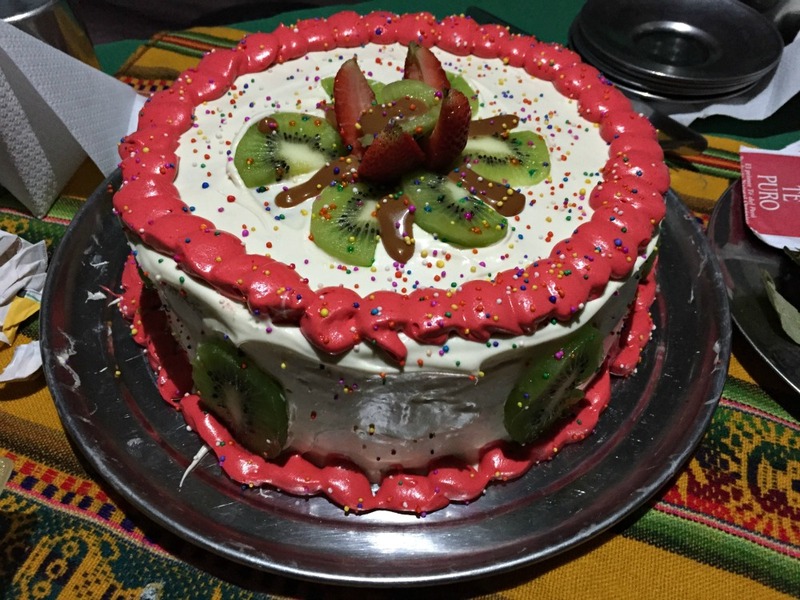 They even made a cake (on a camp stove!) on last day. I wouldn’t call the food restaurant quality, but what they pulled off, having to haul everything they needed on their backs, was astounding. 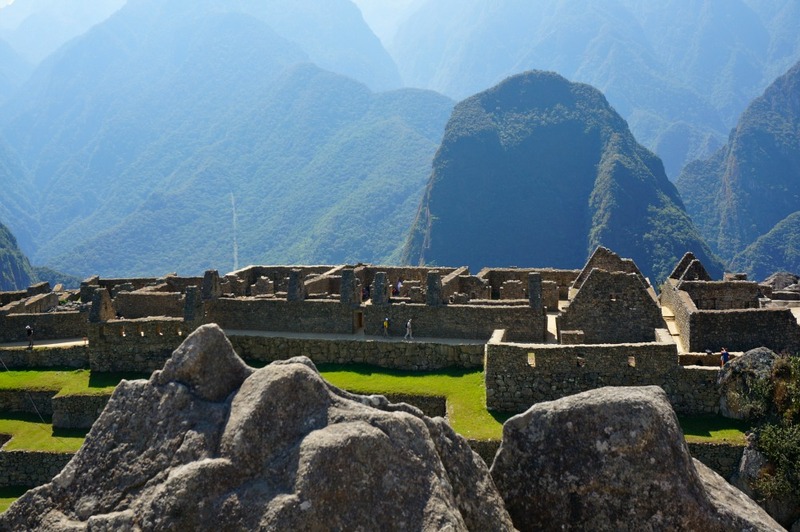 Fact or Fiction #5: Machu Picchu is one of the most astonishing, spiritual site that you are likely to ever encounter. You’ve all seen the trophy Machu Picchu photo – and I truly treasure mine. But the fact is that the famous lost city has been found by the masses. On the day we were there it was absolutely packed. There are several almost equally impressive sites that you will see along the way, in addition to Cusco’s much less crowded Sacsayhuaman. The two thousand pound stones that are tightly joined together so much so that you can’t fit a knife between them are an impressive awe-inspiring sight. Don’t get me wrong, I still recommend making the trek and seeing the historic site. 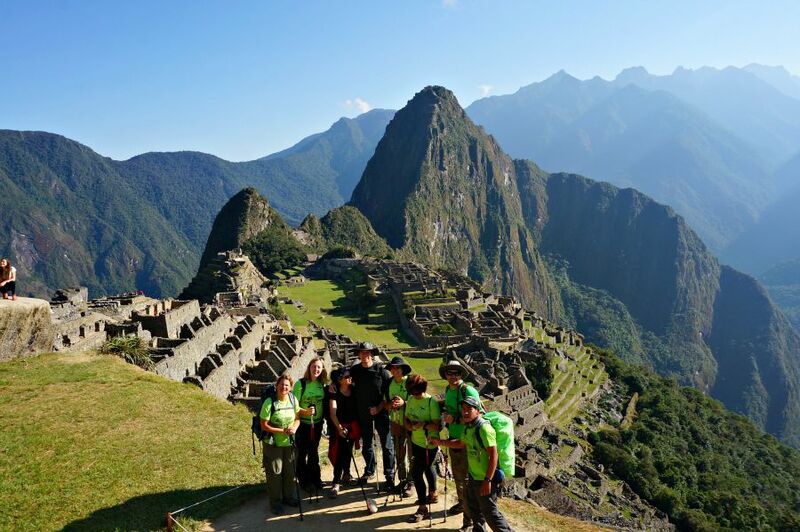 Although some would disagree and proclaim that they and hated their experience visiting Machu Picchu. I have to say overall that my favorite vision along the way was watching the city come into focus early in the morning as the fog cleared after passing through the sun gate on the last day. It’s pretty spectacular. 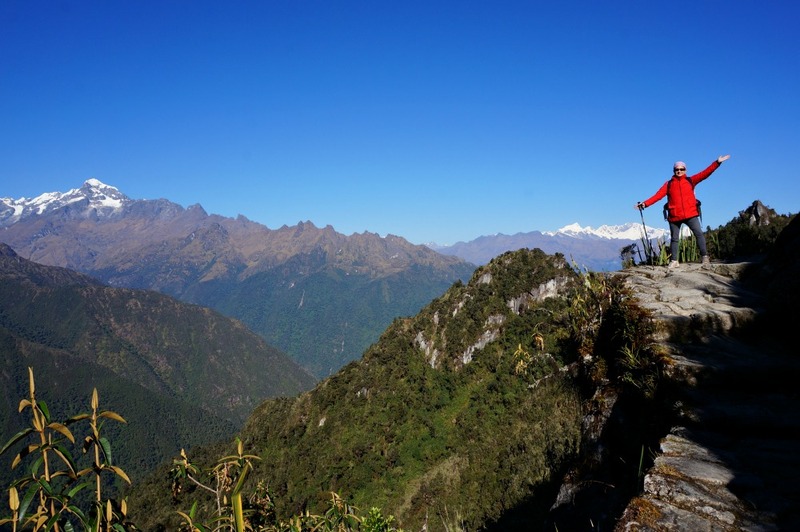 Fact or Fiction #6: The best way to hike the Inca Trail is to wait until the last minute and negotiate with a local tour company when you get there. I ran into several people who used this strategy, much to their own disappointment. 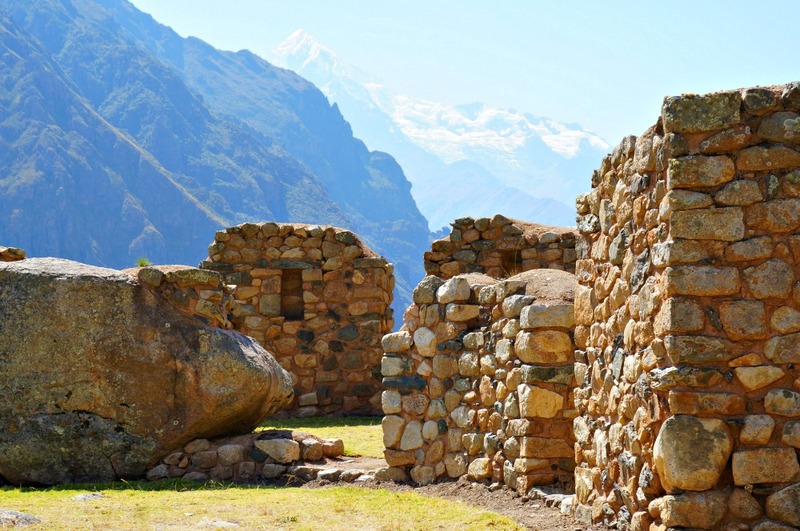 It is necessary to obtain a permit and to use a guide in order to hike the Inca Trail. 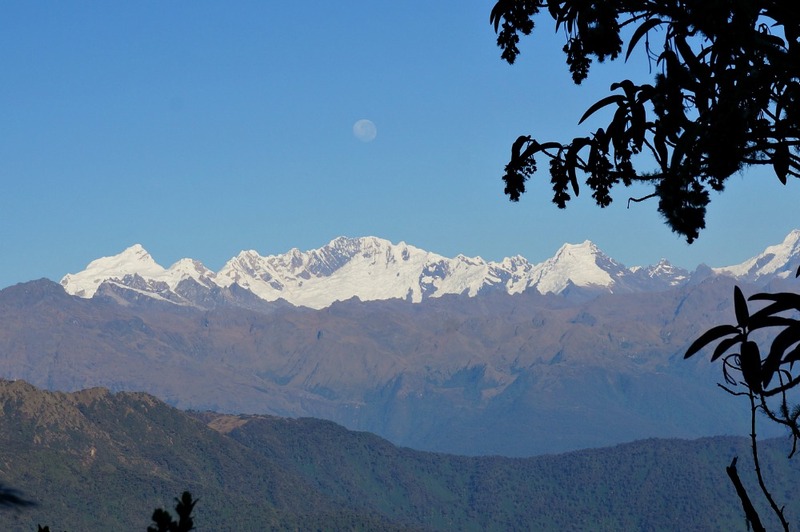 Only 500 permits for hikers (including porters) are given each day. 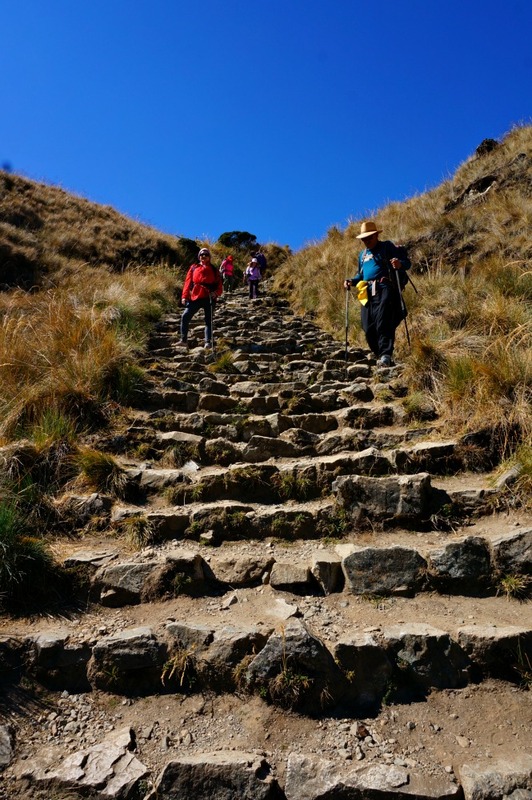 There are other lesser known hikes to Machu Picchu that don’t require either a guide or a permit that you can research in advance if you are interested in saving some money and still reaching the famous Lost City of the Incas. 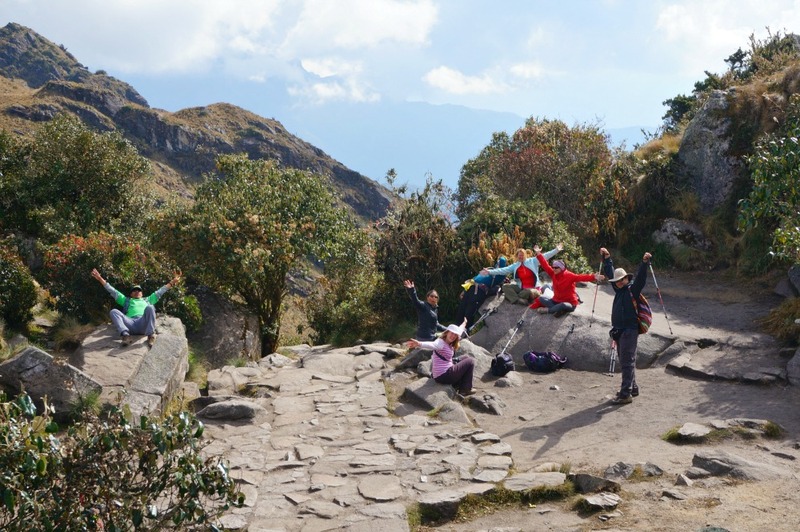 Fact or Fiction #7: The cost of the porters is covered as portion of the fee that you pay your tour agency. We thought this was true until we attended our orientation the day before we started our hike. While the tour company indicated that they do compensate the porters (although not very well from what I understand) there was a STRONG urging to tip the guide, chef and porters. While we felt a little duped (we didn’t pick an inexpensive tour company) in the end we did follow the recommended tipping guidelines. The porters work is extraordinarily arduous. 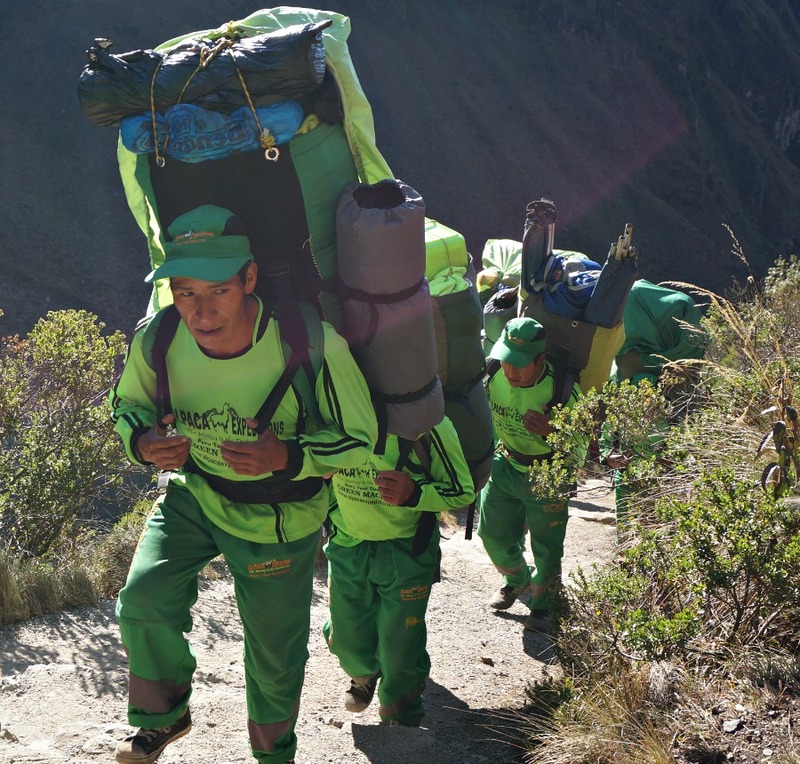 Despite having newer regulations that require porters to carry no more than 25 Kg each, it was difficult seeing them actually haul that much on the steep challenging trail. On one hand, it felt positive to be able to offer work for these farmers who were there trying to support their families. That is, until you witness first hand how difficult it is do their job. There were also older porters, one 65-year-old in our group, who struggled along with sweat rolling down his face (although passing me several times each day that we hiked). 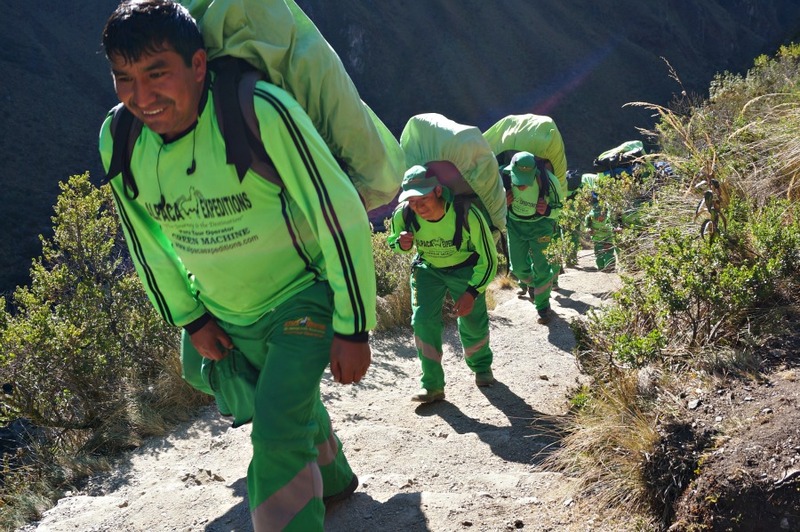 I learned that some porters only do the trek once before seeking alternative ways to support themselves – almost a “thanks, but no thanks.” I still have difficulty reconciling my feelings about the porters. But one thing is certain, I wouldn’t have been able to make the trek without their help. 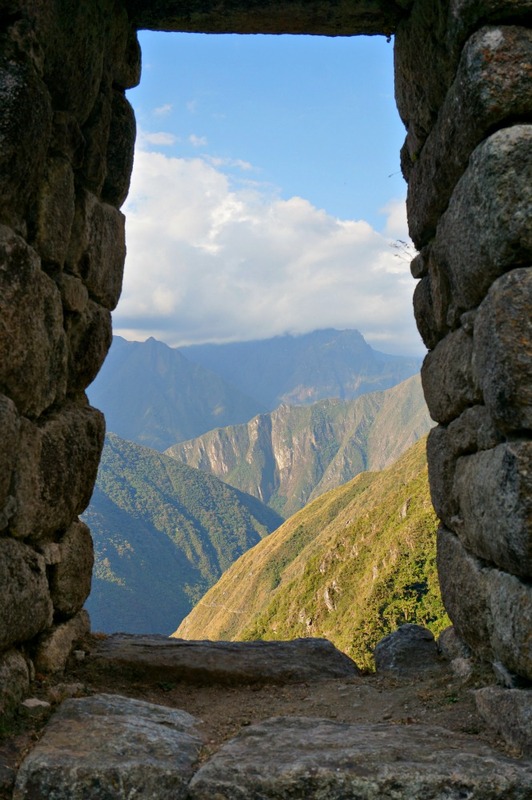 There are many people who forgo the hike and find their way to Machu Picchu on the train. The hiking experience isn’t for everyone, but I can say that the hike itself was by far the most memorable and personally rewarding part of the trip. 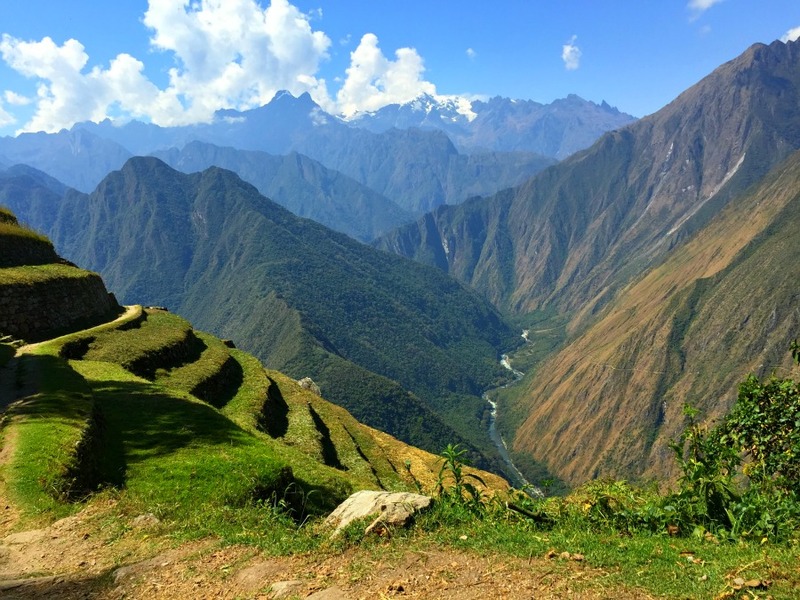 I met some wonderful people, learned a great deal about the Inca civilization from our guide, and most of all am very proud that I was able to complete the hike. Not everybody does. At this point all of the memories of the horrid bathrooms, nasty bug bites and relief that I didn’t come down with any infections that my guide warned about have all faded. I’m left with the comment I’ve heard so many others made about the trip – it was really difficult, but I’m so glad I did it. Now I understand completely why that small simple statement sums up the whole trip, perfectly. Eleven hours of hiking in one day! I was thinking we were hikers until that statement…no way in the world we could do that! Perhaps one day when the kids are older and we are all in much better shape. 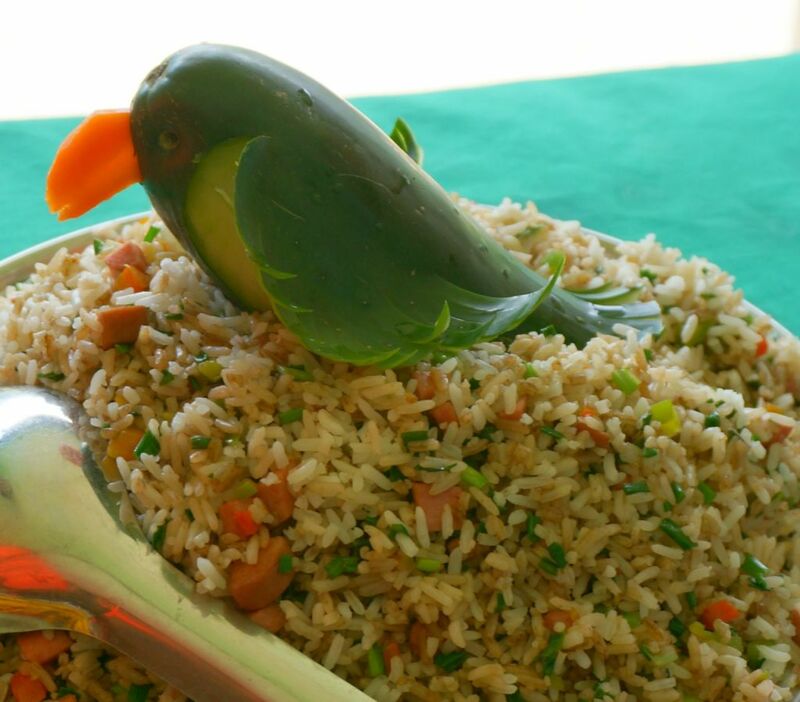 Love the food photos – what a cute little veggie bird!! 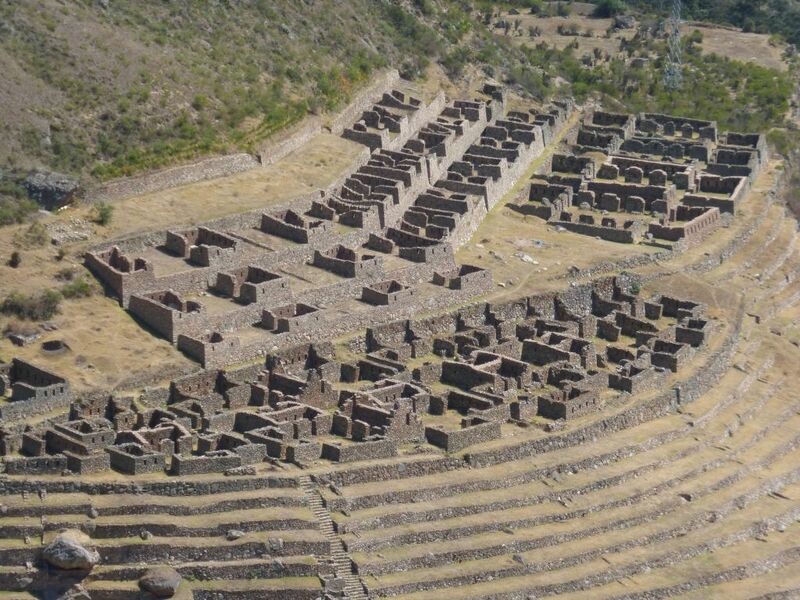 Really wished I would have hiked to MP when I visited Peru, but we decided to visit the ruins last minute (crazy, i know) and didn’t have time to squeeze in a hike. Will definitely revisit this post in the future for reference when I plan a proper visit! Thanks! Great photos and helpful information! I really want to visit Machu Picchu one day. I’ll definitely refer back to this post if I ever get there. This such a huge bucket list thing for us but I love how much information is here in this post instead of just sugar coating it. It is something we will defiantly do one day and it is good to know more about it beforehand. 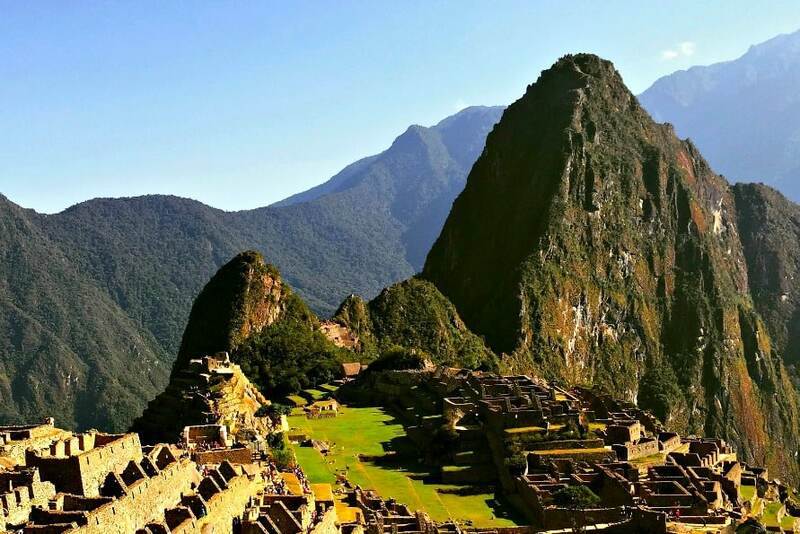 Wow Machu Picchu is high up on my list….. its my ultimate hiking place… those photos are absolutely gorgeous. This is on my hiking bucket list, thanks for sharing this- bookmarking it for when I make it. Loved your honest approach and I’m so pleased you managed the trek! Think I would chicken out and go by train! 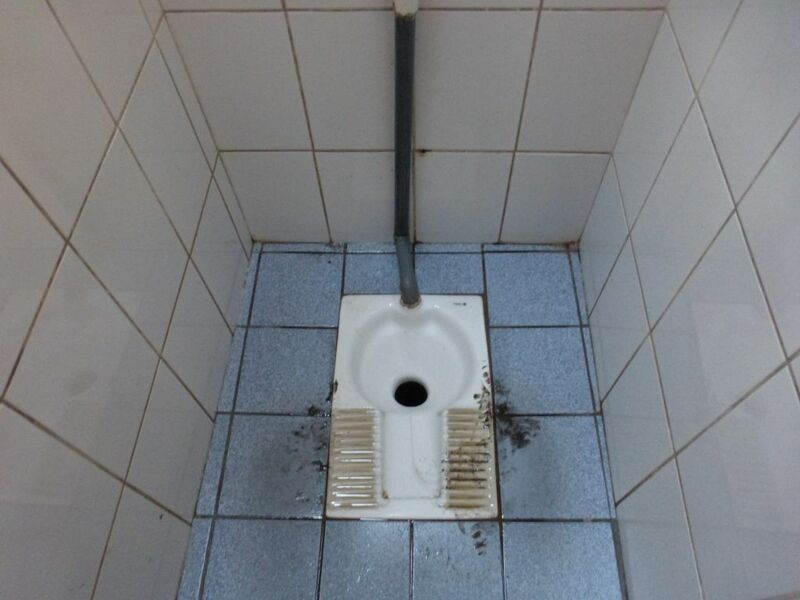 The toilets don’t look any nastier than those I’ve encountered along the motorways of south western France! Fab pics too! I think the toilets were more of a shock for those who haven’t done much traveling. The place deserves all the hard hiking that was done. It was magnificent and the food looks all so yummy. Thanks for sharing. Expecting it to be challenging and then finding it wasn’t as difficult as anticipated is far better than the other way around. Interesting read! 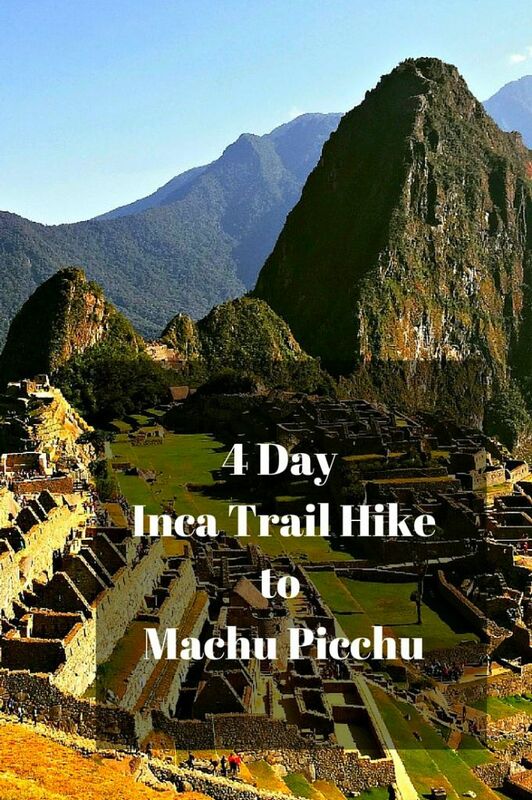 I would definitely like to see Machu Picchu one day although not sure I would be able to do that hike! Good to know!! I am dyinggggggg to hike the trail!! 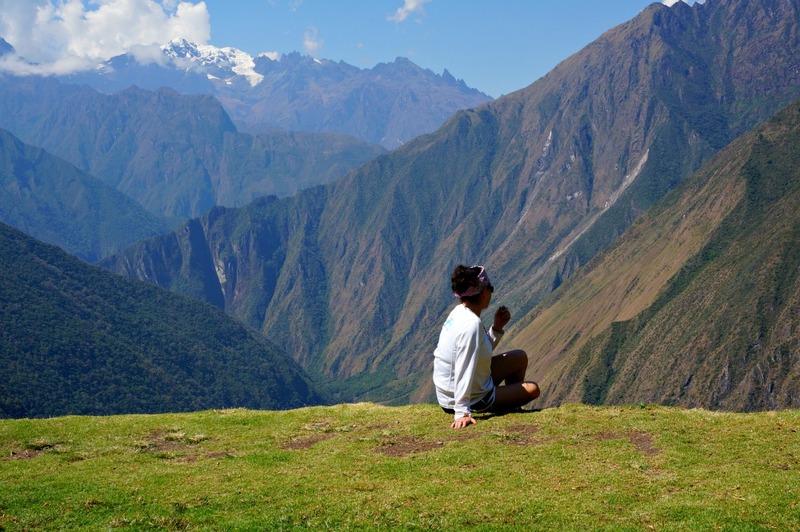 Hiking to Machu Pichu is probably in every person’s bucket list. It so fun reading through all the facts you laid out here and these are going to be very useful especially to travel bums like me. Thanks for the information! Bookmarking this great post!! I want to visit Machu Picchu one day! Hey! I dont exactly know whether there are any other ways to Machu Picchu, but from what I saw, hiking is the most usual one. And many ppl give up. We are such a comfortable society that we arent willing to work for anything. Even for the time of your life! There’s a train to the town below Machu Picchu, and then buses to the site – I think a lot of people take that route as well. But the hike, though difficult, is definitely worth it! Breathtaking, I’m sure!! I cannot wait to cross this off my list! I took the Salkantay and then hiked up the steps at 4am for sunrise. The view is so totally worth the hike isn’t it!? Definitely lives up to the hype! Completely worth it! And, kudos for doing the 4AM hike! Simply beautiful! This is not a trip I’d be able to take, but seeing the reward almost makes me want to try anyway. Thank you for the pictures and it is a stunning view! Nice adventures and great pictures. I wanted to do this hike for a long time and I am decided to do this next year. 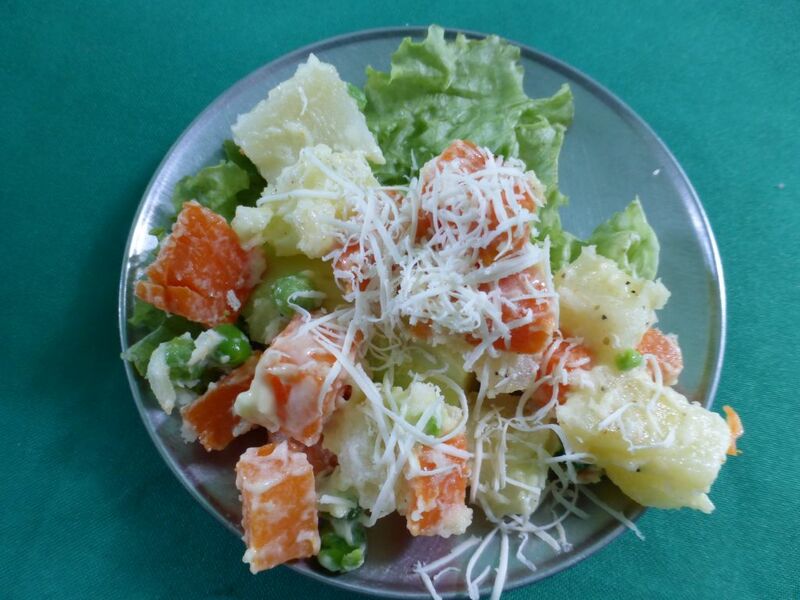 It looks like it simply worth trying it. It’s a challenging hike, but it’s definitely worth doing. Have fun! Your photos are amazing! The view along the trail would be sooo worth the pain. You took some great photos! The part about the restrooms along the way was a little unnerving, but glad you had a great experience overall. The toilet facilities and the unexpected along the trail is an experience. BTW, In the early 1970s while working for Procter and Gamble I introduced Pringles Potato Chips to the Toledo and Detroit markets. I could tell some stories about that. Your reports are very well done and the pics are great.